← It’s Never Too Early to Plan for Thanksgiving or Christmas! 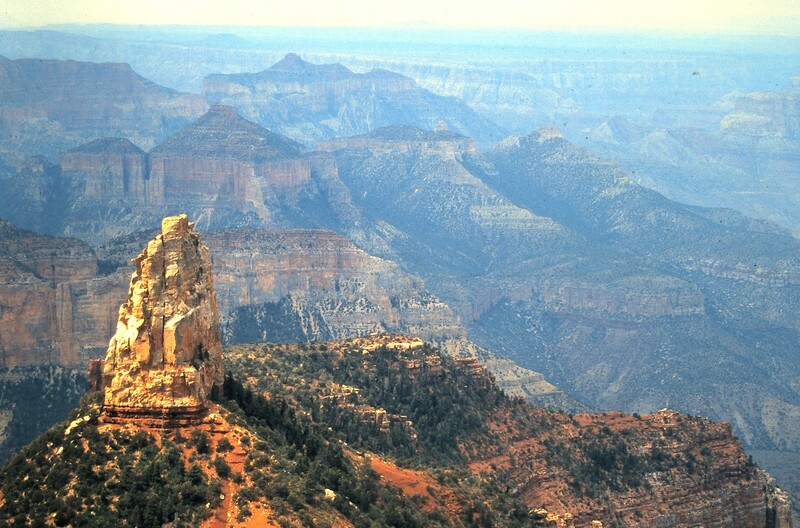 Arizona, “The Grand Canyon State” is a place of contrasts. 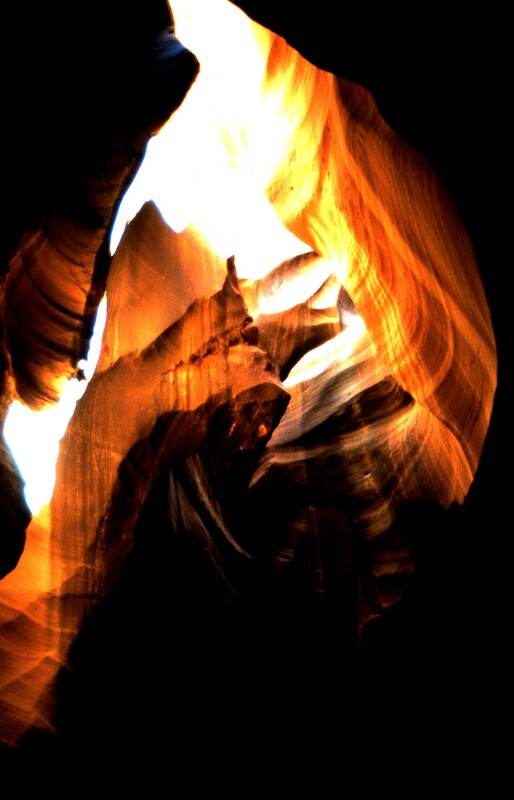 Deeply sculpted by millions of years of everything nature can dish out, it was and still is the home to many Native American tribes, who have lived for thousands of years in the area. 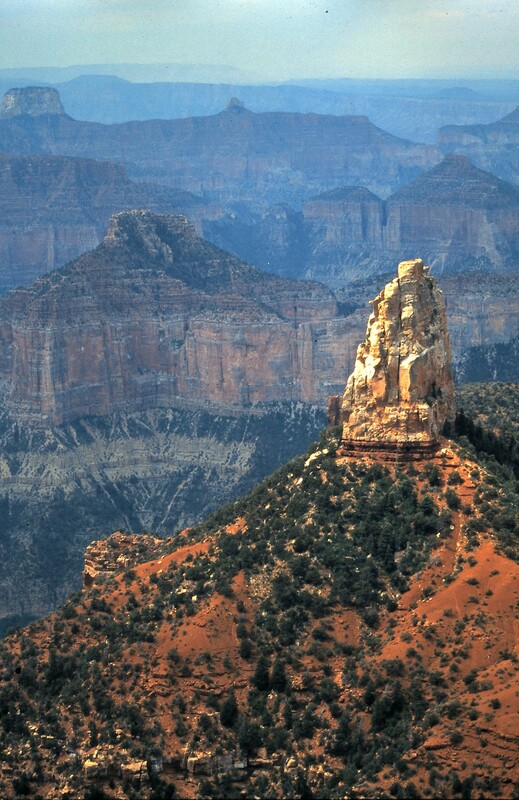 The name “Arizona” appears to have originated from both a Spanish interpretation of the Aztec Indian “Arizuma”, meaning “silver bearing” and also, the Pima Indian “Arizonac”, meaning “little spring place”. There are 22 Native American tribes in Arizona and more than one quarter of the state is reservation land. 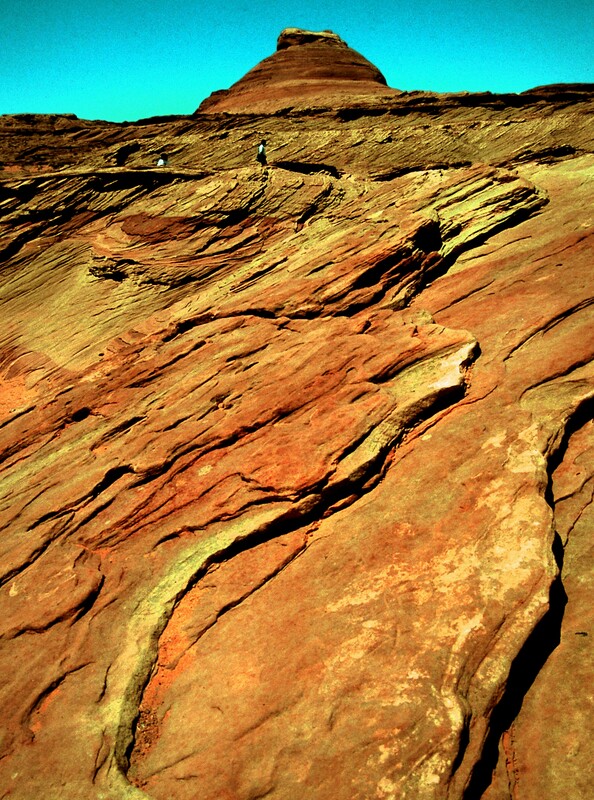 The Anasazi, the ancient Pre-Pueblo Indians, settled in the high country of the region. 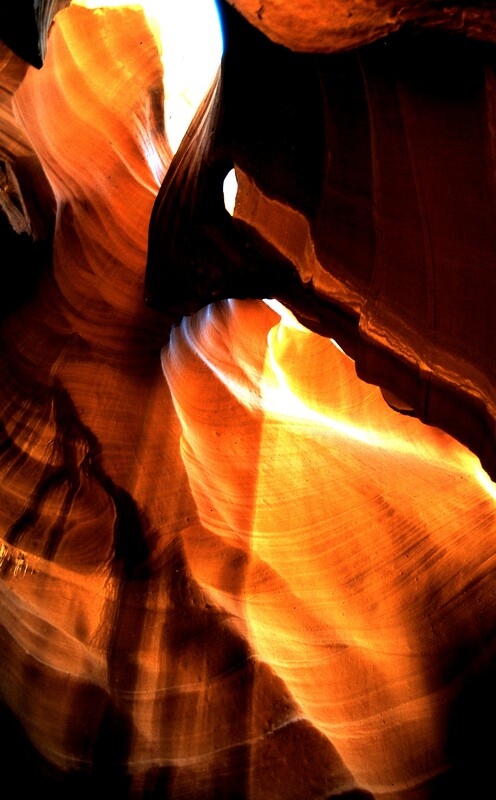 In addition to the Native American foods, Arizona also reflects the Spanish and “Tex-Mex” influences. Chile, like New Mexico, features prominently in foods, as do tomatillos, jicama, corn, and prickly pears. In addition, some traditional, but not so common foods include Navajo Churro sheep, mesquite pod flour and saguaro cactus fruits, which one might find on a menu. The Navajo Churro is a breed of domestic sheep, which originated with the Spanish Churro sheep obtained by the Navajos, Hopis and other Native American tribes around the time of the Spanish Conquest during the 1500‘s and are known for their hardiness. 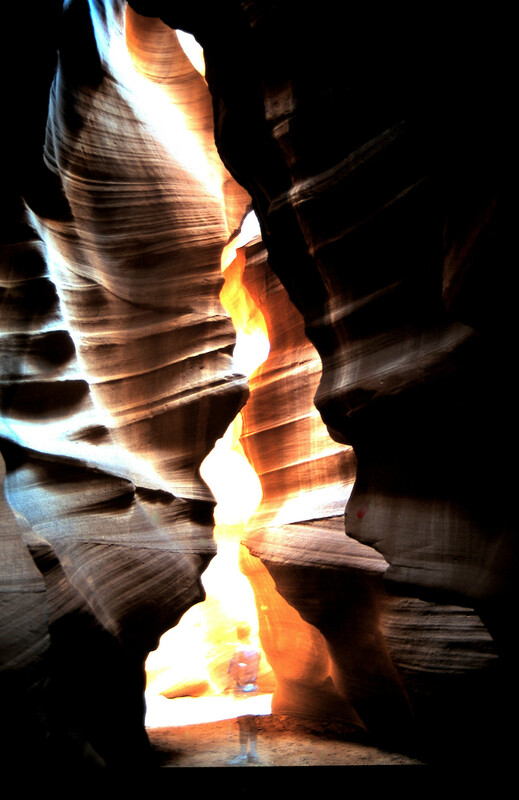 On an August, 1997 visit through Arizona, my husband and I were fortunate enough to visit the Grand Canyon, Painted Desert, the Petrified Forest, Lake Powell, Glen Canyon, and one of the beautiful and mysterious “slot” canyons in Arizona, Antelope Canyon, located outside of Page. 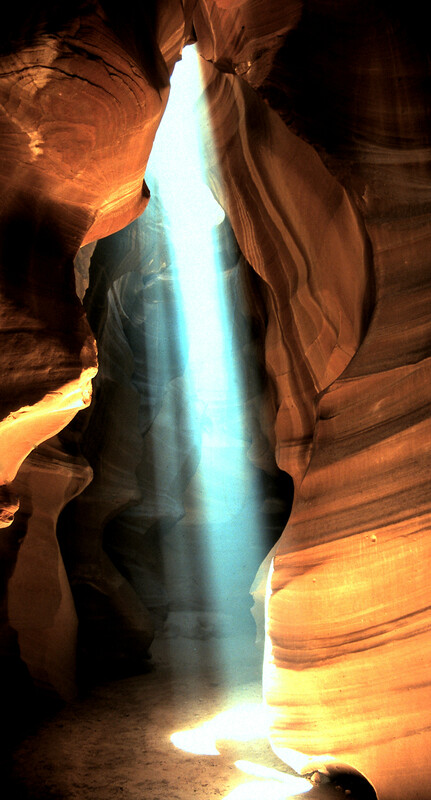 The canyon is the most photographed slot canyon in the world, according to some sources, and it is easy to see why. 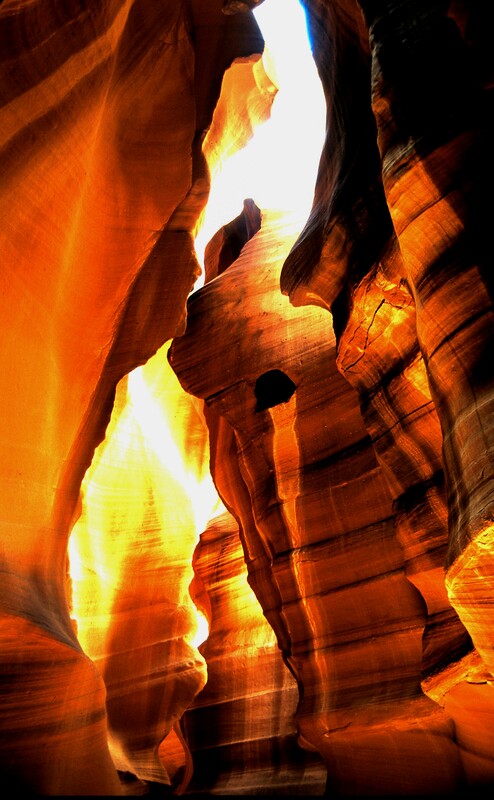 It is a twisting, turning incredible limestone and sandstone canyon with a myriad of colours. Every few minutes, as the sun changes, the colours and shadows change and it is truly awesome. We were transported rough and tumble in an open Jeep by our guide, who dropped us off at the entrance to the canyon around 7:30 a.m. We were the sole visitors for the next 4 and a half hours (other than a few black widow spiders) until just before our guide returned, and we wandered in and around this incredible work of nature. I recall that I shot somewhere in the neighbourhood of 500 slides that day! 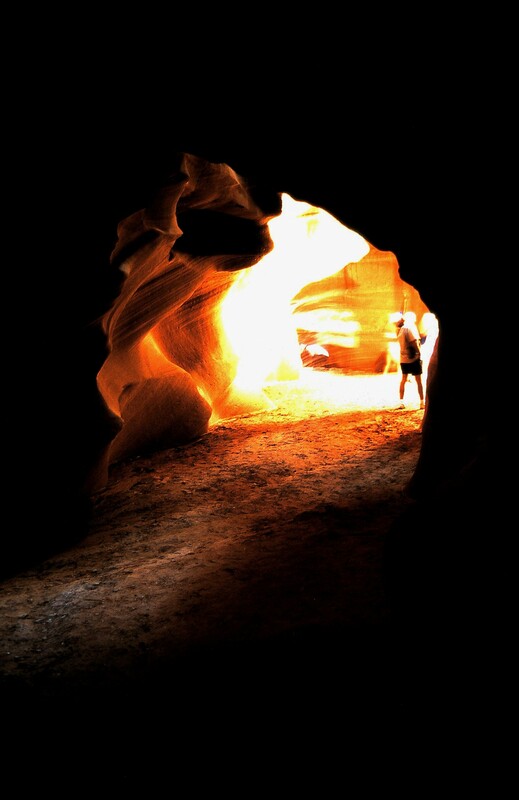 It was awesome and a trip everyone should make, when in Arizona. 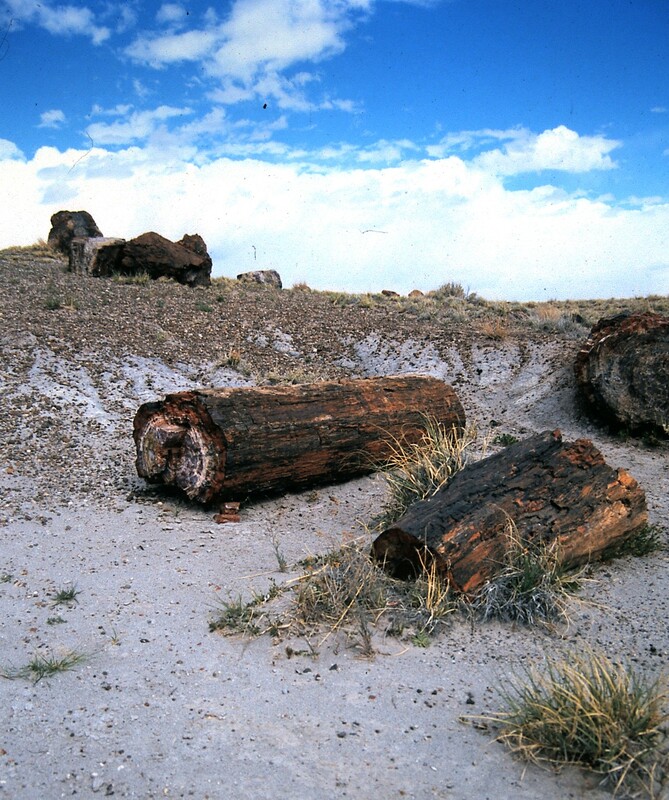 After our ½ day experience on Thursday, August 7th, 1997, we returned to our hotel in Page, packed up and made the drive back to Albuquerque, photo bags crammed with rolls of film. The following Tuesday, August 12th, we learned that a flash flood had ripped through the canyon, drowning 12 European hikers. 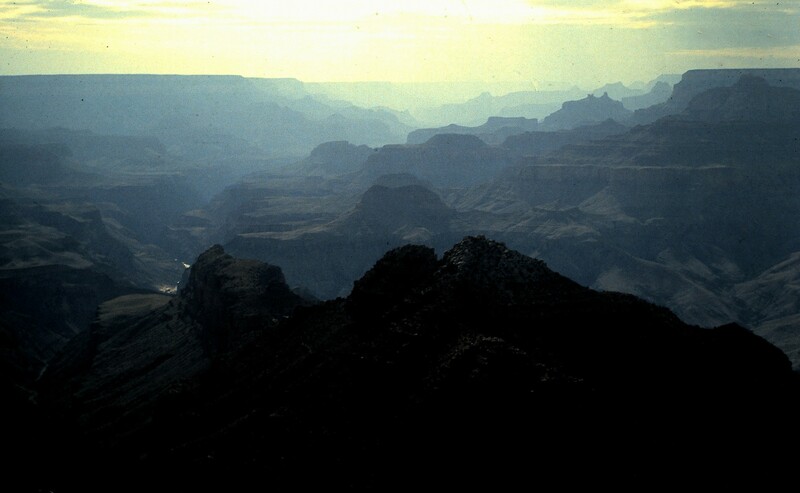 The flash floods are just that: rain may be falling heavily at the top of the upper part of the canyon, but can’t be seen until the flood gushes across the barren landscape and fills the canyon so rapidly, there’s no way to escape. 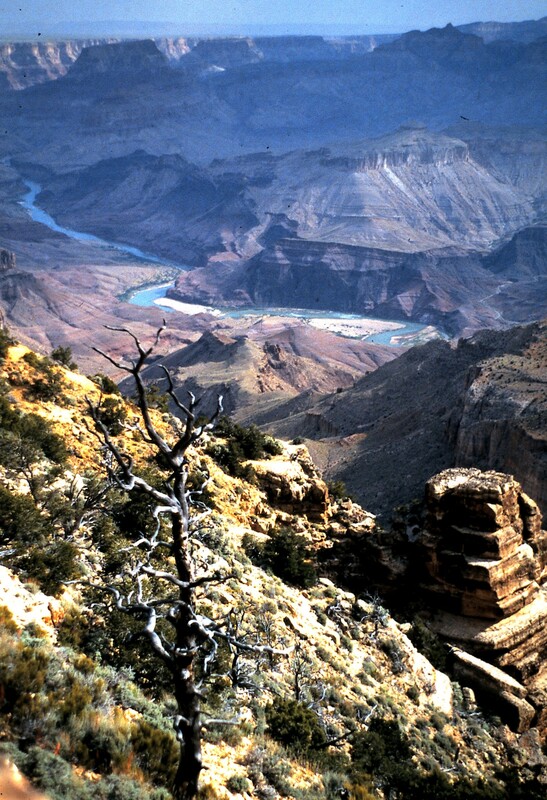 The rains on the disastrous day of the flood originated 15 miles from the canyon. 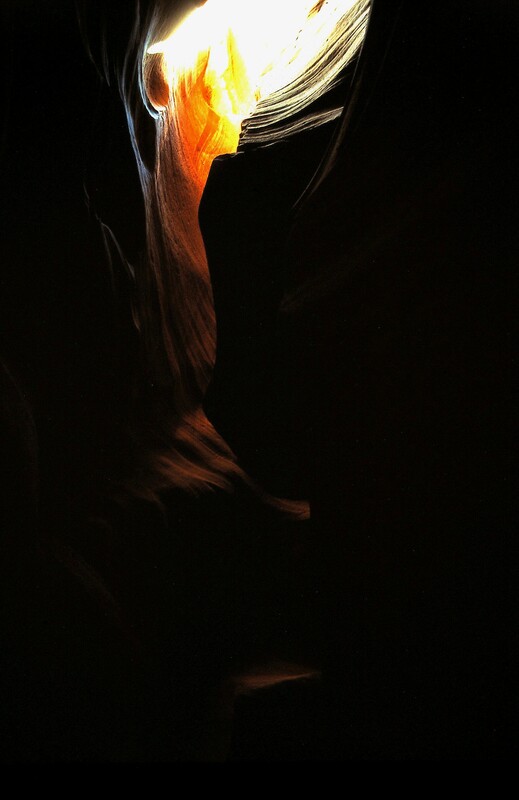 On the day we were investigating Antelope Canyon, my husband, having spent considerable years in the Southwest, kept walking out of the canyon to higher ground, scanning the skies for dark clouds, which might alert us to something on it’s way. Fortunately, we had an uneventful, but wonderful day before our guide returned just before noon to transport us back to Page. Timing is everything. Nothing reflects the spirit of the food of the Southwest, including Arizona, than beans. 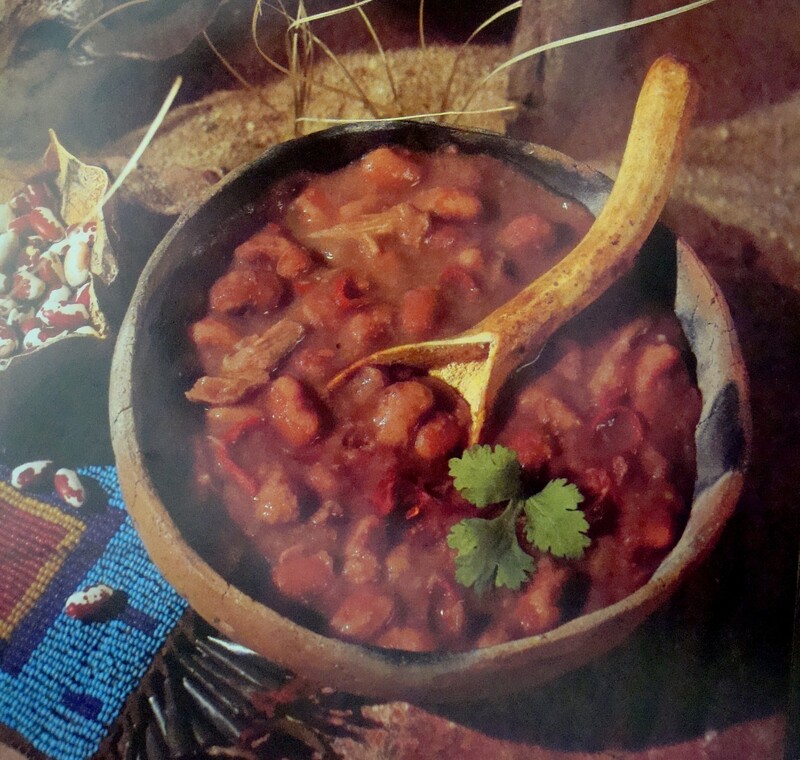 The following recipe for “Anasazi Bean Soup“ is taken from “Spirit of the Harvest – North American Indian Cooking”, by Beverly Cox and Martin Jacobs and is typical of the cuisine of the region. Between AD 400 and 700, the ancient Anasazi domesticated the tepary or “Anasazi” bean, from wild varieties they found growing in canyons. Stories have circulated for years that still viable beans were re-discovered by archaeologists about 40 years ago and were subsequently grown commercially. Others say the beans were self-seeding and have continued to grow in the region. 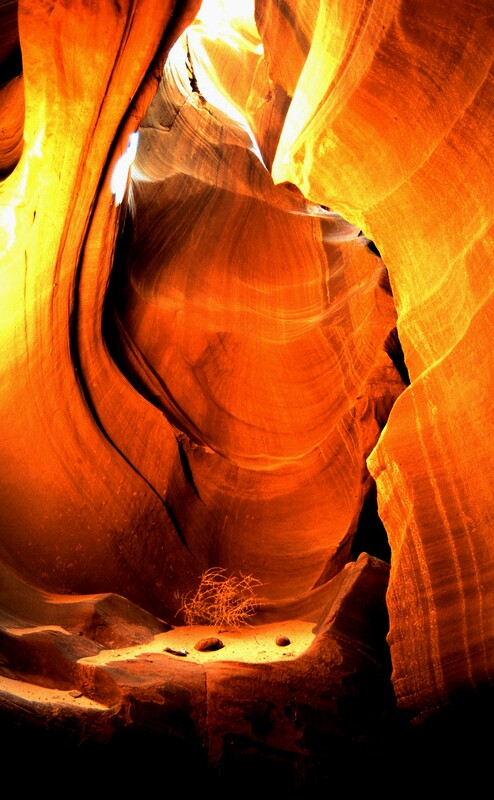 Arizona is definitely worth a trip. 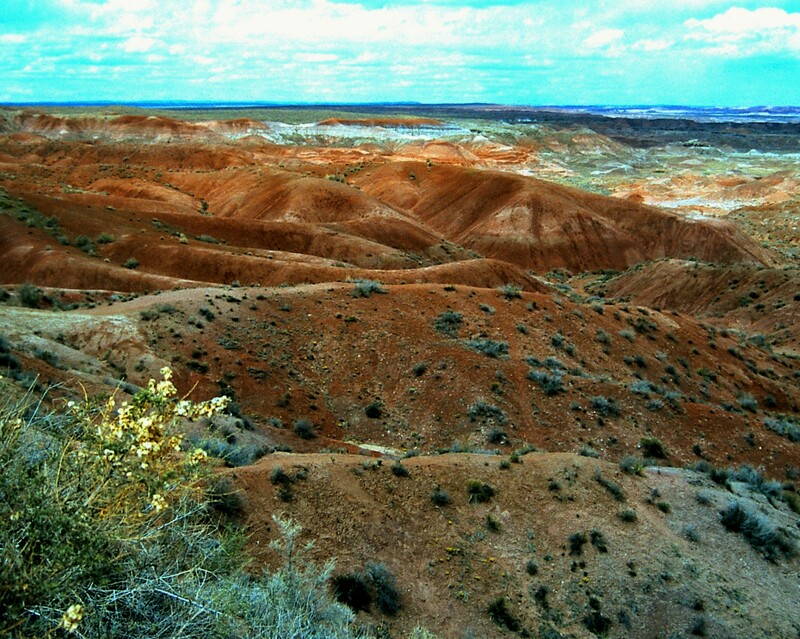 There is so much geological and cultural history around the state. Take some time and explore it! 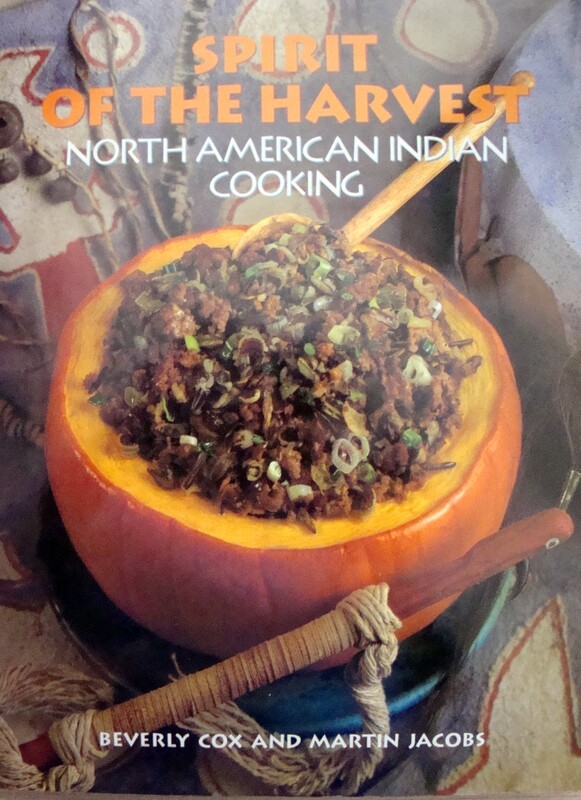 This entry was posted in Cookbooks, Cooking, Cooking and Social History, Eating, Native American Cuisine, Recipes, Uncategorized and tagged Anasazi, Anasazi Bean Soup, Antelope Canyon, Arizona, cookbooks, Cooking, food history, Green Chile, Native Americans, New Mexico, social history, Southwest, Spirit of the Harvest, Sue Jimenez. Bookmark the permalink.